On Tuesday, FBI director James Comey gave a speech detailing the agency's findings from its investigation into former Secretary of State Hillary Clinton's high-profile private email server scandal. And while Comey didn't recommend an indictment against Clinton — which was probably the wildest, most desperate hope for all the Trump supporters out there, as well as for some anti-Clinton progressives ― he did shed some light on some things that could be trouble for her campaign. Here are the most unnerving details from James Comey's speech, and what they might mean for Clinton going forward. To be absolutely clear, one problem Clinton probably won't face is any actual legal repercussions. 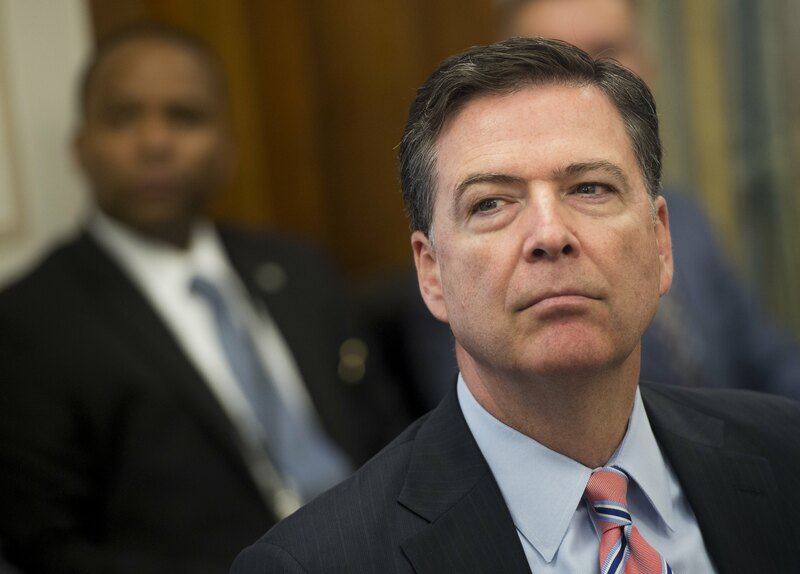 Comey said that, while the agency's investigation did uncover details that were not very flattering to Clinton or reassuring about the security of her private server ― problematic in the extreme, really ― he believed that "no reasonable prosecutor" would've brought charges against her over the case as it stood. In other words, this is a good day for Team Clinton in the biggest way, though it still provides some ammunition for her political rivals. Here are some troubling details from Comey's announcement. According to Comey, the emails the FBI was able to review contained 110 instances of classified material across 52 different threads. The question of whether or not Clinton's decision-making imperiled classified U.S. government information has been simmering for months and months, and to hear Comey tell it, that's true. According to Comey, eight more emails contained information classified as "top secret," which is not going to go unnoticed when the GOP makes its case that she's careless with state secrets. This is one of the strongest rebukes to Clinton's longstanding defense of her private email server, and it'll reinforce the notion held by many of her critics (and perhaps even some of her supporters) that she's more than willing to distort the truth to protect herself. She repeatedly claimed that she never emailed materials through her private server that were classified at the time she sent them. At the time of her writing, this claim is still on her campaign website. Again, while Clinton escapes without any charges, she got pretty badly burned by Comey’s remarks. The FBI director also said that “any reasonable person should’ve known better” than to handle classified emails in the way that she did. Comey pointed out that the FBI found no evidence that Clinton’s private server had ever been directly hacked, which would have imperiled any state secrets contained therein. But he also stated that some of the people she was emailing were hacked. This isn’t so much a specific issue with Clinton, and in a certain sense it could be somewhat mitigating. If a person fails to live up to certain standards in a culture which enables it, it’s arguably more defensible. But all the same, this is a pretty startling thing to hear about the U.S. State Department, and it could have big ramifications going forward.